"Once I wrote 55 pages at a sitting -- that was on the opening chapters of the Gilded Age novel." The Gilded Age was Mark Twain's first novel. It was written in collaboration with his Hartford neighbor Charles Dudley Warner (b. 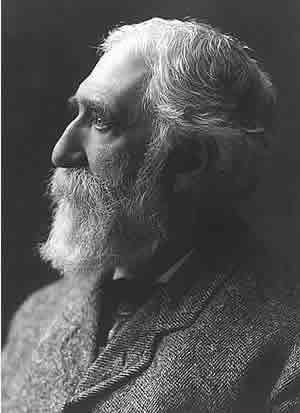 1829 - d. 1900) who was an editor at the Hartford Courant newspaper. The novel is an indictment of government, politicians, big business and get-rich-quick schemes. Livy Clemens and Susan Warner both challenged their husbands to write something better than the currently popular modern novels. Clemens wrote the first eleven chapters, turned the manuscript over to Warner who wrote the next twelve -- each man creating his own characters as the story progressed. The two men swapped the work back and forth and often collaborated on individual passages. The novel was completed in April 1873 and issued by American Publishing Company in December 1873. The book contained 63 chapters in 574 pages plus an appendix. 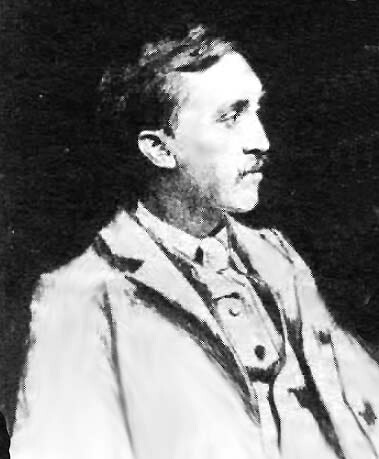 Illustrators for the first edition were Henry Louis Stephens (b. 1824 - d. 1882), True W. Williams (b. 1839 - d. 1897), and Augustus Hoppin (b. 1828 - d. 1896). Also contributing to the book was Clemens's Hartford neighbor James Hammond Trumbull (b. 1821 - d. 1897) who was an expert in languages. Trumbull wrote a foreign-language motto for each chapter heading. Trumbull's mottos provided a unique puzzle to the book because no translations were provided. In order to maintain uniformity in size with other volumes in the 1899 uniform edition, Frank Bliss divided The Gilded Age into two separate books which became not only Volumes 10 and 11 of the uniform set, but also parts 1 and 2 of the title work itself. All of the original illustrations were eliminated and new printing plates produced. Running page headings that were present throughout the first edition were eliminated. Volume 10 of the uniform edition of The Gilded Age ends with Chapter 31. Volume 11 begins with new chapter numbering and what was once Chapter 32 from the first edition is Chapter 1 of Volume 11. The new uniform edition of The Gilded Age offered both Clemens and Warner an opportunity to revise and refine their work. However, there is little evidence to suggest either man took an active interest in doing so. Frank Bliss, however, did offer translations to Trumbull's mysterious foreign-language chapter heading mottoes in appendixes at the back of Volumes 10 and 11. The 1899 uniform edition represents the first appearance of Trumbull's translations into English. In what became a disappointing practice to today's scholars, Frank Bliss also bound individual manuscript pages from The Gilded Age written by both Clemens and Warner into the first volumes of the Autograph Edition as an enticement to book buyers. This practice effectively scattered the manuscript for The Gilded Age worldwide making it difficult, if not impossible, to ever reconstruct the exact composition of the novel itself. Production of the new 1899 plates also had the potential to introduce inconsistencies into the texts that were the result of typesetting errors. No examination of Morgan's notes for The Gilded Age has been conducted. Less expensive editions such as Underwood, Riverdale, and Hillcrest feature the Tiffany title page in Volume 1 only. It was elimnated altogether from the Author's National Edition. based on a two separate photographs of Mark Twain and Charles Dudley Warner in 1873. Frank Bliss hired William Thomas Smedley (b. 1858 - d. 1920) to illustrate the 1899 uniform edition of The Gilded Age. When Frank's father Elisha Bliss was producing the 1873 first edition of The Gilded Age for American Publishing Company, he considered hiring Smedley, who worked at Harper's Weekly, for the job. Elisha Bliss provided Smedley with a copy of the manuscript and paid him $150 for one illustration. That illustration was never used in the 1873 edition. The reason Smedley did not get the 1873 assignment from Elisha Bliss is unknown. Smedley was born in Pennsylvania, the son of a miller. At age fifteen he began working in a newspaper office in Chester County, Pennsylvania and later studied art at the Pennsylvania Academy of Fine Arts. He later was commissioned to travel through the Northwest with Lord Lorne of Canada. He also visited Hawaii, New Zealand, Australia and Paris where he studied under Jean-Paul Laurens. In New York he secured work with Harper's and Scribners. 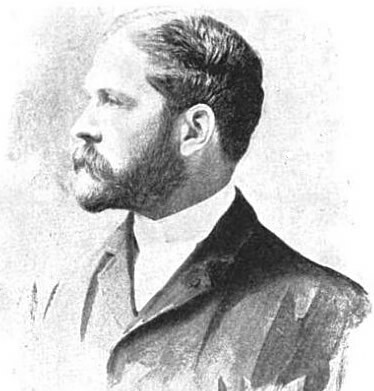 Smedley provided six full-page illustrations for the 1899 uniform editions of The Gilded Age. Smedley chose to illustrate scenes from the text that had been previously illustrated with line drawings by illustrators of the 1873 edition. However, Smedley's artwork for the 1899 edition contained detailed shadings and less caricature than the illustrations in the first edition. One receipt from Smedley to American Publishing Company dated December 13, 1898 indicates he was receiving $150 per illustration. 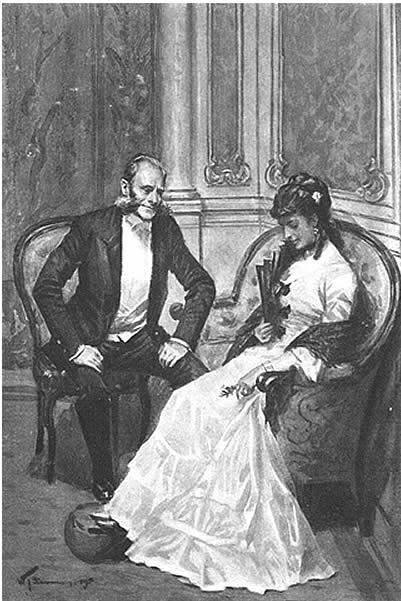 Smedley's "Laura Coquetting with Mr. Buckstone" was used as the frontispiece for Volume 11. 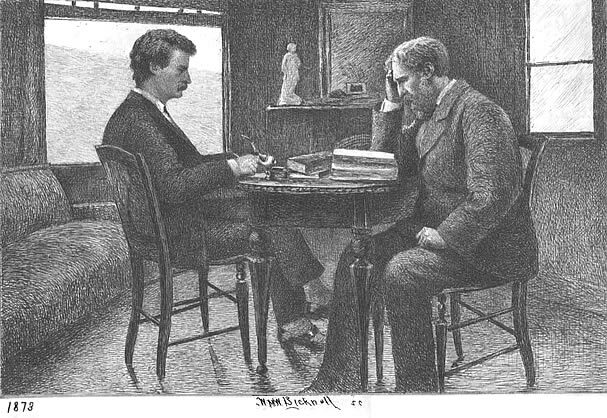 The frontispiece for Volume 11 was for the same scene Smedley had illustrated for the 1873 edition -- an illustration that was never used. This illustration would have appeared in Chapter 37 of the 1873 edition. In the 1899 uniform edition, it depicts a passage that appears in Chapter 6 of Volume 11, which is the second volume of The Gilded Age. The following are the original full-page illustrations that first appeared in the 1899 Autograph Edition, Edition De Luxe, Japan Edition, Author's De Luxe Edition (which was released through British publishers Chatto and Windus), and the Royal Edition. issued by American Publishing Company. As other editions were developed and prices were lowered, some of these illustrations were eliminated. David, Beverly. Mark Twain and His Illustrators, Volume I (1869-1875). (The Whitston Publishing Company, 1986). Hill, Hamlin. Mark Twain and Elisha Bliss. (University of Missouri Press, 1964). Smedley, William T. Receipt to American Publishing Company. 13 December 1898. Accession No. 6314, Box 8. (University of Virginia Library, Special Collections). Twain, Mark and Charles Dudley Warner. The Gilded Age. Edition De Luxe. (American Publishing Company, 1899). "William T. Smedley," The Book Buyer, Vol. 11, No. 1, February 1894, pp. 74-78. Online via google books. "William T. Smedley, Painter," The New York Times, 27 March 1920, p. 13.